In 1860 some 30 acres of land belonging to Hollow Tree House were acquired. 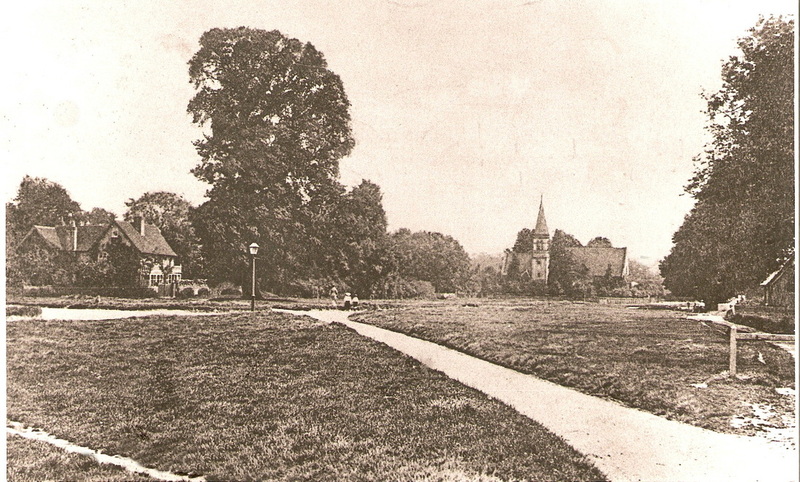 The house, still to be found on The Green, had a farm estate that extended towards the Watford Road on one side and a cart track known as Cow Lane on the other side. At this time it was the main thoroughfare for, as the name suggests, taking the beasts from farms north of the village to pasture at Common Moor. This land was sold for building in 1865. The relevant dwellings were to be built to specified criteria. 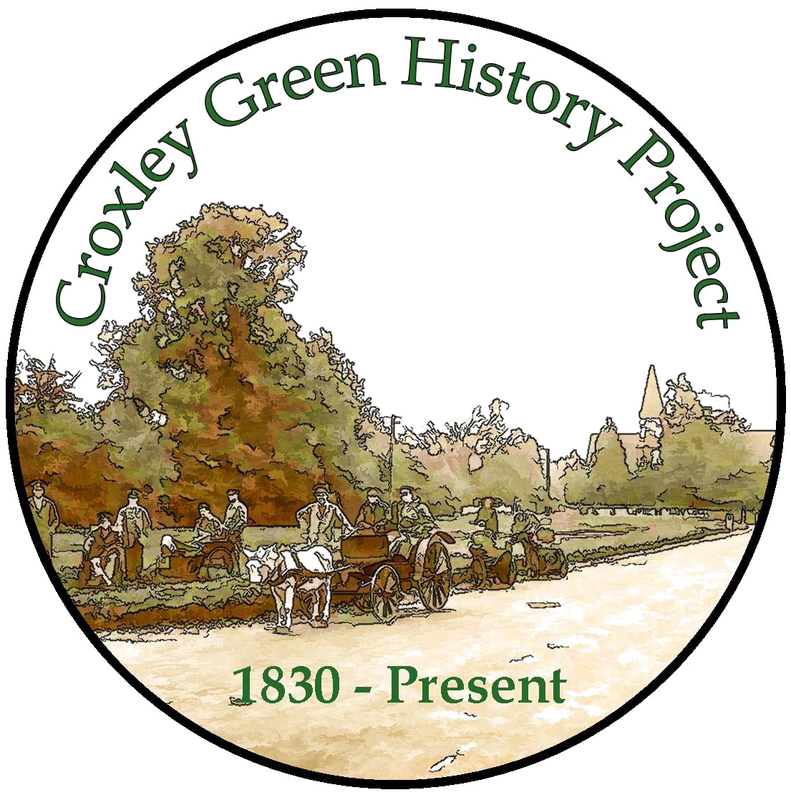 This road was then improved, named Croxley Green New Road and small building plots sold to individual builders. A link road, Garden Road, connected Croxley Green New Road with Watford Road as the housing development continued. 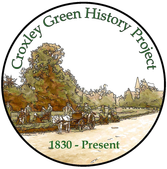 Garden Road was renamed Yorke Road in 1898 after local resident Charles Frederick Yorke who had held the position of chairman of Rickmansworth Urban District Council. He is listed in the 1901 census as a ‘colliery owner’ living at West View, New Road. Hollow Tree House, or Hollow Tree Farm as this property is described in the middle of the XVIII century is one of many properties that front the Green, all of ancient origin, that seem to be, by the pattern of their layout, to stretch back to mediaeval times or earlier. The acreage of the farm, given in the Tithe Charge Ren tal of 1840 is 35 acres, 1 rod, 2l perches, and the charges made against it are £ 2.4.4. to the Vicar and £6.13.1. to the Appropriator. 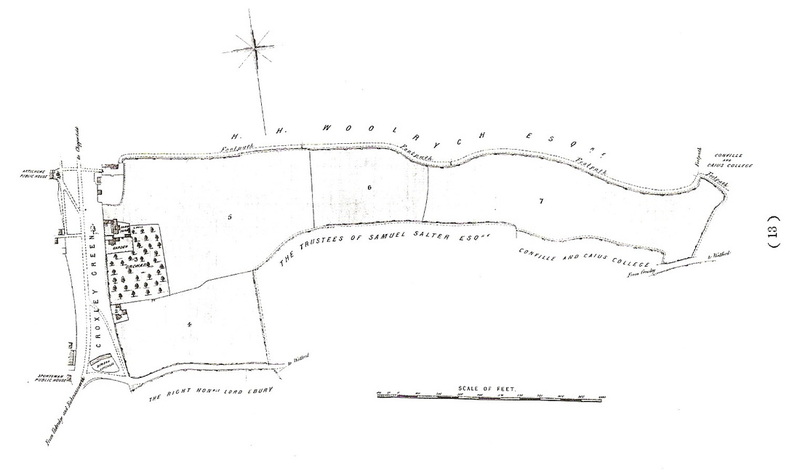 The estate was bounded on its west side by the present Watford Road and on its east side by the present New Road. The farm was mainly arable in nature, just over 30 acres being under the plough, just over 3 acres of meadows, a little over 1 acre of woodland and the remaining land consisted of the farm house, yard, a cottage and gardens and a private roadway that gave access to a field called Milestone field, of 15 acres, owned by the Trustees of Salters Brewery in Rickmansworth. building of the Watford -- Rickmansworth Railway by Lord Ebury and his associates, railway development usually meant a demand for homes and in an age when land was bound up in large estates, the opportunity to purchase an area large enough for development could not be slighted. Tuffen in 1737 and sold it in 1767 to Thomas, Lord Hyde, afterwards Earl of Clarendon. Andronin remained in occupation of Hollow Tree Farm until 1740 when it was sold to John Woodbridge. What is of interest about the Wood bridge family is that they were in occupation from 1692 until 1711, when the occupier was Thomas Bovingdon, who stayed until 1721, when Henry Fawcett took over occupation. In 1727 he was followed by a woman Rebecca How who farmed the land until 1735. Between 1748 and 1758, the farm was leased to Daniel Bovingdon of Croxley Hall farm. In 1851, the occupier was Thomas Ansell who was in occupation in 1862. The lack of local records prevents the completion of the record of occupiers of Hollow Tree House, these could be found by consultation of Directories, but these are not available locally. However, it does not need a directory to tell who the owners are today. By an odd coincidence the name Leach is back at Hollow Tree House. Dr and Mrs R.H. Leach have very skill fully adapted the house to modern living and yet have kept the character of the house.